In this week’s lesson we ask you to incorporate numbers that are relevant to you. This prompt is one of those that can take so many different directions. 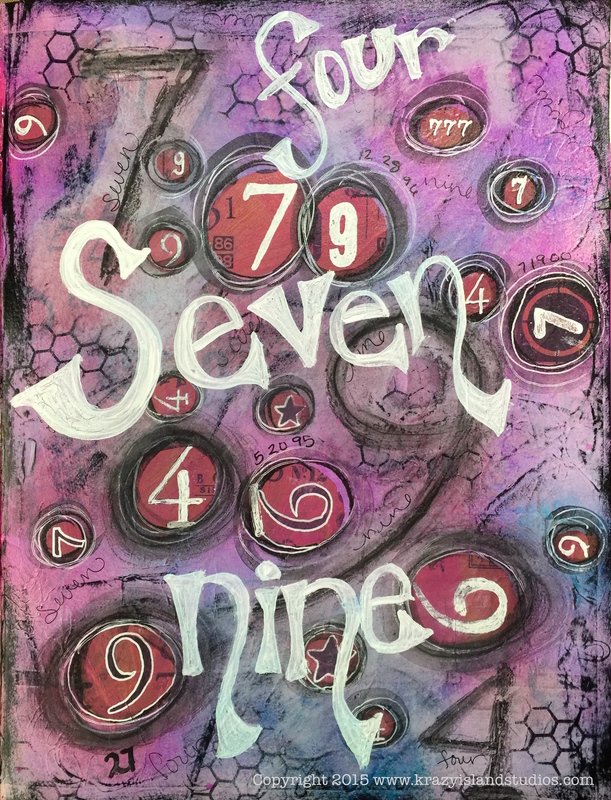 Once I thought about it for a minute I realized how much numbers really do play a part in our lives, and there are a lot of relevant numbers if you think of dates, phone numbers, identification numbers, credit card and pin numbers, etc. Gina chose to include dates in her lesson this week which includes a basic drawn figure, Peta itemized a list of things that are valuable to her, and I used fave numbers & important dates on my page. 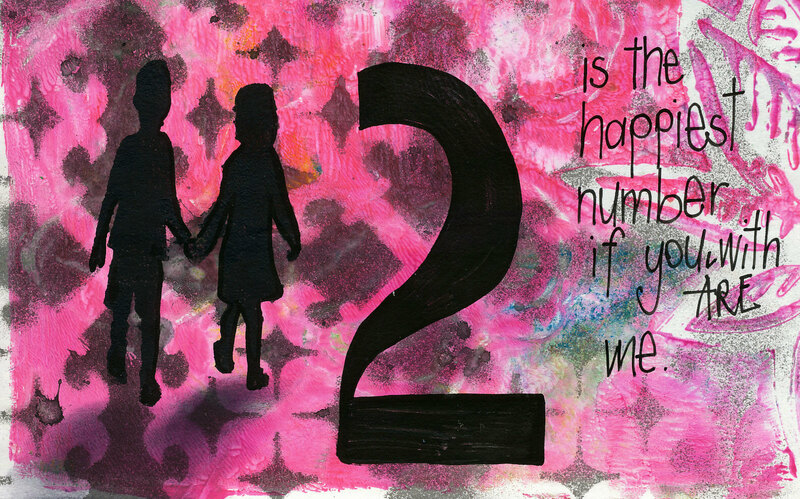 Had so much fun doing this prompt – and, combining it with the previous one.